Should US Expats Invest Offshore? As an American living overseas for almost 20 years I have often struggled with the idea of investing offshore. With this post I will try to deal with some of the main issues of investing offshore for US expats. Unfortunately, if you are looking for a compelling reason to invest offshore you may be disappointed, as I feel the cons outweigh the advantages of offshore investments. 1. Access to alternative investments – that are not available in the US. As the offshore market is unregulated, you are able to access products that typically only professional investors have access to. These funds could include, UK student accommodation, hedge funds, litigation financing, mortgage funds, life settlement funds etc. Obviously this is potentially a double-edged sword. Though these funds could provide nice diversification to your overall wealth, they are also mostly unregulated which means they carry a higher degree of risk than your onshore regulated options. Sometimes a degree of regulation is good thing. 2. Diversification – It’s always prudent to have diversification in what you invest into and what vehicles you use to invest. Investing via an offshore investment product does provide degree of diversification in regard to investment vehicles and the jurisdiction that your investment is domiciled. 3. Confidentiality – Some Americans prefer to have some money offshore, for confidentiality reasons. This is a bit of a slippery slope. If you are following IRS regulations, all offshore bank accounts or investments of $10,000 or more need to be reported in your tax return…which means, offshore accounts really cannot be fully confidential. At least not legally. For those that decide not to claim their offshore accounts, this is highly unadvised, especially in light of the new FATCA regulations that will force all financial institutions to disclose their US account holders or face a stiff tax on all US based transactions. 1. Lack of low cost investment accounts – there are few offshore institutions that will allow US citizens to open investment accounts. The problem isn’t the legality. The problem is they do not want to deal with the red tape in reporting your account to the IRS. It is a big administrative burden and cost, so many just avoid the situation by avoiding US citizens. One of the few options is to invest is by way of the offshore life companies, but these accounts are far from low cost. 2. Difficulty claiming your investment in your tax return. As the offshore fund platform wrappers are not approved by the IRS, it is difficult to figure out how to claim them on your annual tax return. For example, one of the regular investment plans provides a nice up front bonus in the first 18 months, is this bonus taxable? I have yet to get a straight forward answer on this from a CPA or an estate planner. Reporting these complex offshore investments can be difficult, for even for the best CPAs. 3. 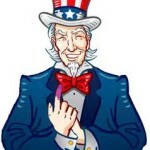 Tax liability– As American’s are taxed on their worldwide income, offshore investments certainly are not tax efficient. In fact, you could pay a higher tax rate than if you invested in a similar fund in the US, as you are not able to take advantage of the long-term capital gains tax rates. Certainly everyone can decide for themselves whether investing offshore is of value for their personal situation. If a return on your capital is the number one priority, it would make the most sense for US citizens to keep your investments onshore in a cost efficient account. 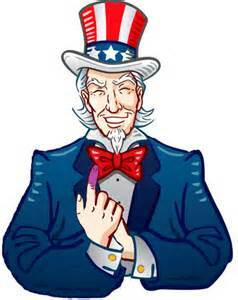 Fortunately at Caterer Goodman Partners we specialize managing client money in US onshore accounts. In association with our sister company in the US, we are also able to set up and manage 401Ks, IRAs and other tax efficient accounts and approaches. For further information on how we may be able to assist you with your financial needs feel free to call us at (021) 3366 1337 or send us an email at admin@caterergoodman.com.